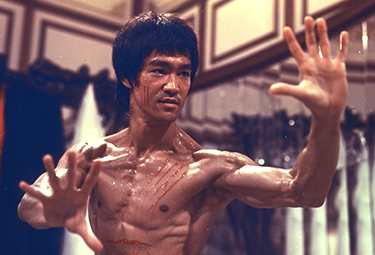 The first Asian kung fu film to be produced by a Hollywood studio, Enter the Dragon sees Bruce Lee kick his way onto the international stage with this seminal kung fu title. Possessing great fighting skills and physical prowess, a Shaolin martial artist, Lee (Bruce Lee) is invited to a martial arts tournament on a private island, sponsored by Shaolin master-turned-villain Han (Shih Kien). Han has not only disgraced his Shaolin ancestory, but is also a drug lord and, as Lee finds out, responsible for the death of his sister three years prior. Though reluctant to take part in the tournament, Lee is approached by Braithwaite, a representative of an international intelligence organization, to assist in gathering evidence against Han, and finally bring him to justice. Agreeing to join the tournament, Lee sets out to defeat Han and reclaim the “lost honour” of the Shaolin.